PCOM uses PaperCut to manage printing. See the ITS FAQ for more information. How do I find my Library ID number? 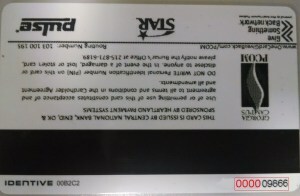 You can find your PCOM Library ID # on the back of your PCOM ID card. 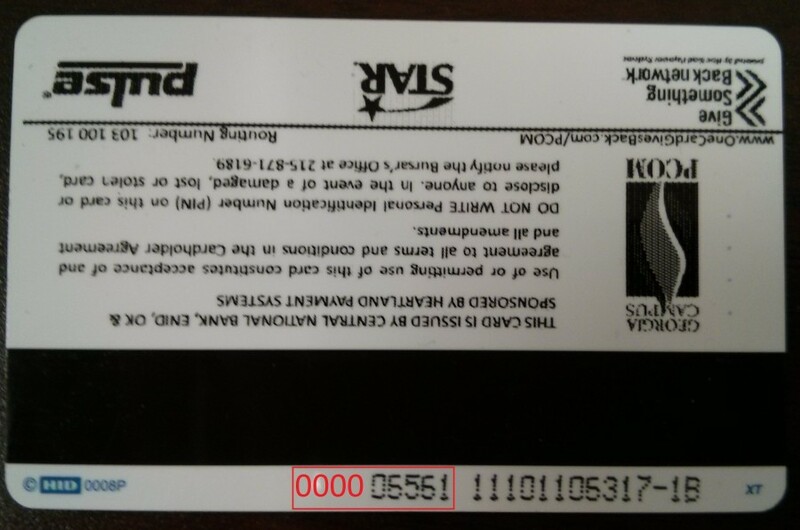 Your Library ID # consists of four zeroes + the final five digits on the back of your PCOM ID (see below). 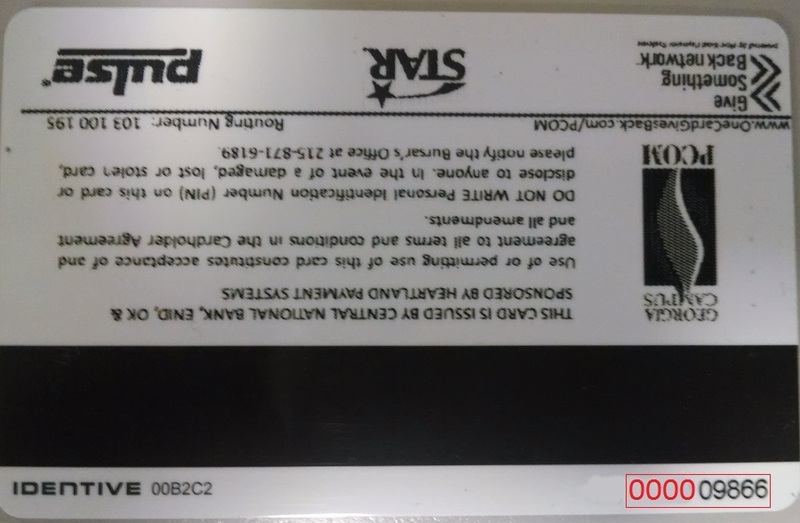 For PCOM IDs issued prior to Summer 2014, your Library ID # consists of four zeroes + the first five digits on the back of your PCOM ID (see below). Can I access library resources from my home/rotation site? All PCOM faculty, staff and students have both on-campus and remote access to the e-resources in the Digital Library. Users must login using the PCOM Network ID and password. By accessing e-resources, users agree to the conditions of the PCOM Library User Agreement. A few resources require personal accounts. See My Accounts for information on My Library Account, RefWorks, MedU, etc. Users who experience difficulties with expired or forgotten passwords should contact the MIS Department at HelpDesk@pcom.edu. Users who experience difficulties finding and using e-resources should contact the library directly. Library contact information can be found here. Volunteer Faculty may request access to the Digital Library when they submit a signed Volunteer Faculty Library User Agreement. How can I contact someone in the Library? Visit the circulation desk at either of our campus locations. See the Staff Directory for individual numbers. See the Library Liaisons page to find the librarians assigned to your program. Who has access to the library? Library study space is reserved for the exclusive use of PCOM students, faculty, staff and alumni. Please be prepared to show your PCOM ID to a Library staff member upon request. Non-PCOM researchers who have legitimate need to access print and special collections should contact Library Administration (library@pcom.edu) to request access prior to visiting the campus. Guests of PCOM students, faculty, and staff must be accompanied by a host with valid PCOM ID. All guests must register at the Security Desk. The PCOM host must remain with guests at all times and is responsible for guests’ behavior. Guest access is for touring the Library, not for use of study space or computers. Library Staff reserve the right to check purses, backpacks, schoolbags, etc. when the security alarm sounds. Videos and books from other libraries or stores sometimes are not desensitized and may trigger the alarm. I am a PCOM alum. What can the library do for me? What mobile apps/websites do I have access to? See out our mobile apps library guide for more information. How do I check my print balance? You can check your print balance using the Paper Cut Web Portal. Detailed instructions for checking and adding to your balance are available here. You can also add print credit (buy additional pages), check your print history and see what jobs are waiting to print using the Paper Cut Web Portal. What is a hold? How do I place a request? A hold is a request by a library patron to use a book that is checked out. In effect, it is a waitlist -- when the book is returned, the next person in line is able to check it out. In addition to contacting the library to place a hold, you can also place your own hold requests through the library catalog; you do not have to be on campus to place a hold request. How do I place a hold request? Search the catalog for the book you want. If its status is "Charged" and the due date is within the timeframe you are willing to wait, continue by clicking on the Make a Request link on the right hand sidebar. You will be taken to a screen where you can log in using your PCOM Library ID # and your last name. After logging in, choose Hold. In the first dropdown menu on the following screen, choose the item you wish to place a hold request for. Only items eligible for hold requests will appear. When choosing, make sure that the item you select is on the same campus you attend. In the second dropdown menu, select your pick up location: "Circ desk" (PA) or "Circ desk-GA" (GA). If there is a date after which you will not need the item held, enter it in the "Not Needed After" field. Leaving the default date will result in your request being automatically cancelled one month after the date it was placed. Finally, enter your LIB# again and click Submit. You will receive an email when your requested book is ready to be picked up. Books are available for 5 days from the date of your request; holds not claimed in that time period are automatically cancelled. Can I request a book from another library? Books not owned by the library can be requested using ILLiad or E-ZBorrow (for Pennsylvania users). See our Requesting Books page for instructions. Always search the Library Catalog for PCOM holdings before requesting a book through ILLiad or E-ZBorrow. Please note that textbooks are not available for interlibrary loan. Pennsylvania users have a self-service option in E-ZBorrow. Log in to the PALCI catalog with your PCOM Library ID #. If you have any trouble logging on, call the Circ Desk at 215-871-6470 and a staff member will verify that your LIB# is correct in the system. Where can I find information about volunteer faculty access? Who do I ask for help with the computers and printers in the library? You can also add print credit (buy additional pages), check your print history and see what jobs are waiting to print using the PaperCut Web Portal. See the ITS PaperCut FAQ for more information. How long can I check out items for? *Reserve books charged out after 9:30 pm must be returned by 8 am the following morning. How much are the fines for overdue items? Borrowing privileges are suspended when fines total $10 or more. All fines and fees must be paid before leaving PCOM educational programs or employment. Use your PCOM Smart ID card or pay by check made out to PCOM Library. You are responsible for the replacement of lost or damaged books and AVs. Items must be returned in good condition without evidence of defacement, mutilation, or water damage. You will be billed for the cost of lost or damaged item plus a processing fee of $25. 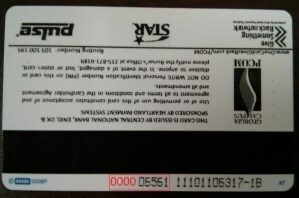 A default price of $150 per item appears on the overdue notice. The true cost will be reflected on the Lost Item Bill. I was out of the state on rotation/I had to go to class/I overslept and my book is late. Can you waive my fine? Please see our fine appeal form. What is a call slip? How do I place a request? What is a call slip? A call slip is a request by a library patron for a book to be held for a certain amount of time until it can be picked up. If you see a title in the library catalog that you would like to check out and it has a status of "Not Charged" or "Available", you may request that circulation staff pull the book from the shelf and reserve it for you to pick up. Call slip requests are a self-service option available through the library catalog; you do not have to be on campus to place a call slip request. How do I place a call slip request? Search the catalog for a book you want. Make sure the item status is "Not Charged". On the right hand side bar click Make a Request. After logging in, choose Callslip. In the dropdown menu on the following screen, choose the item you wish to place a call slip request for. Items in the Reference and Reserve collections are NOT eligible for call slip requests. When choosing, make sure that the item you select is on the same campus you attend. Next, fill in your LIB# again and click "Submit" or "Cancel." After the request is reviewed by staff, you will receive an email letting you know that your request was either filled or unfilled, and the reason. Books are available for 2 days from the date of your request, after which the items will be released back into circulation. Can I search for theses/dissertations written by other people? Search for PCOM dissertations and theses in the Library Catalog. The Library will lend available paper copies. Digital copies of many PCOM theses and dissertations are available in the DigitalCommons@PCOM. Search for works created at other academic institutions in the Dissertations & Theses (D&T) database. There are links to the database from both the Databases and Psychology web pages. Users may purchase PDFs of documents directly from D&T. Twenty-four pages of every document are available for free online to assist users in selectively identifying works of interest. The Library will process interlibrary loan requests for theses and dissertations; however, many institutions will not lend them. How do I get a workstudy job in the library? How can I find my textbooks online? Georgia students can view the Georgia textbook guide. Can I donate my textbook to the library? Donations are assessed on a case-by-case basis; no journals/serials, please. Due to institutional policy, we cannot assign a value to donated items for tax purposes.